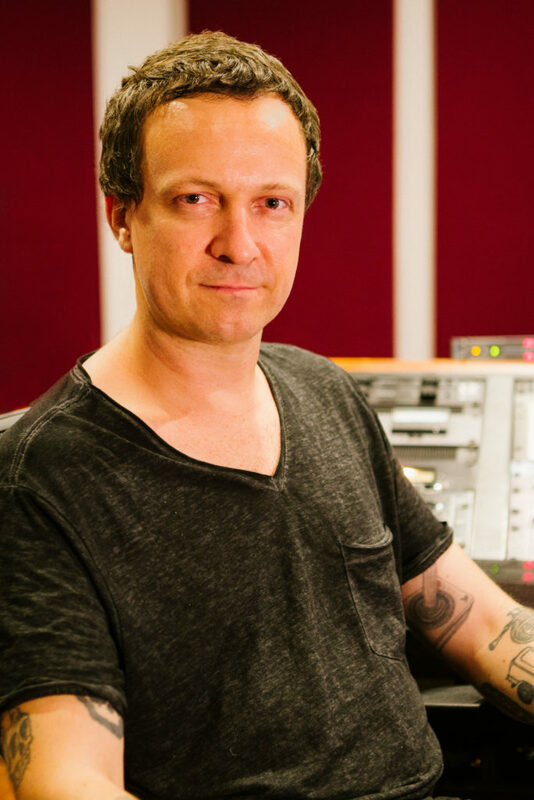 Dan Walker is an audio engineer and musician from Australia, settling here in New York since 2010 after many years spent on the road writing, producing, and touring extensively with art rock punk band The Death Set. His beginnings were born out of a love of punk/indie rock and electronica and after years of playing in live bands and DJing throughout Australia, a natural desire to explore the art of audio engineering arose. An SAE alumni, Dan quickly acquired adept engineering skills after being selected for an intern position at Sydney’s renowned Studio 301 back in 2001 which then later developed into a fulltime position as a studio assistant. With this knowledge, Dan later moved to London as a DJ where he continued to cut his teeth producing, engineering, remixing and releasing his own and others work on various underground dance music labels. After time spent navigating the European and British club scene a move to the USA proceeded on joining The Death Set which saw many years on the road balancing out a touring life style while continuing to record and produce other musicians. Throughout this time Dan had the opportunity to work with an array of artists in varying capacities including Drop The Lime, Diplo, Spankrock, Robots In Disguise, Little Boots, Guerilla Toss, DZ Deathrays and Princess Superstar, which lead to work popping up on labels such as Dim Mak, Ultra Records, Ninja Tune, Atlantic and DFA among others. After full time international touring and networking Dan settled in Brooklyn NY and set up The Submarine Studio in 2012 where he continued for 6 years to record, produce and mix artists from all over the world and where his true passion for mastering records began to emerge. As a mastering engineer Dan came up self taught from 2010 with further learning and mentorship from world renowned engineer Joe Lambert. Mastering many of the projects that would pass through The Submarine over the years saw his skills in the field take a strong foot hold, and now with past work on Inertia, Burger Records, Rough Trade/XL, Magnolia Films, Dine Alone Records and having mastered artists such as Boulevards, Bleeding Knees Club, Curses, Wax Witches, Tone Of Arc and The Prettiots, Dan offers his ears and knowledge on mastering to all musicians, producers and engineers worldwide who are serious about their sound.